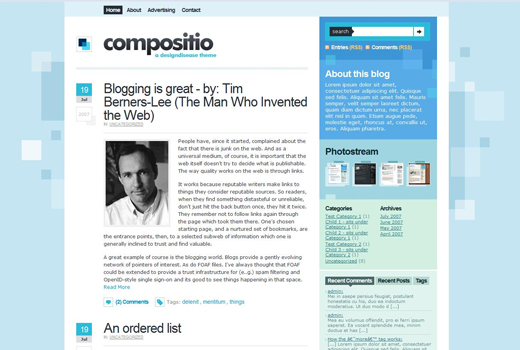 Compositio blogger template for free download on Blogger Templates. Looks great, but the post date is screwed up on my blog’s main page when I import the template and it took some time to figure out how to put in my own header logo since I don’t read whatever language is the creator’s native tongue. Fix those and its pretty good. how do i change logo? and color? I like this template……… need to be modifies and published/. The date of the posts appears only for the first post. I can’t adjust it! Why? what an awesome template. i use this to my blogs. thanks.